After a back injury stemming from overtraining and competitive water skiing put Anna on bedrest for a solid week in 20XX, she knew she had to change up her strength training. She started doing Turkish get-ups with just a foam yoga block; when she could do it three times through without the block falling, she added weight. She began training with Kettlebility owner Andrea U-Shi Chang in 2013. And she hasn’t looked back since. “Andrea really helped me rediscover my power through kettlebells,” Anna says. 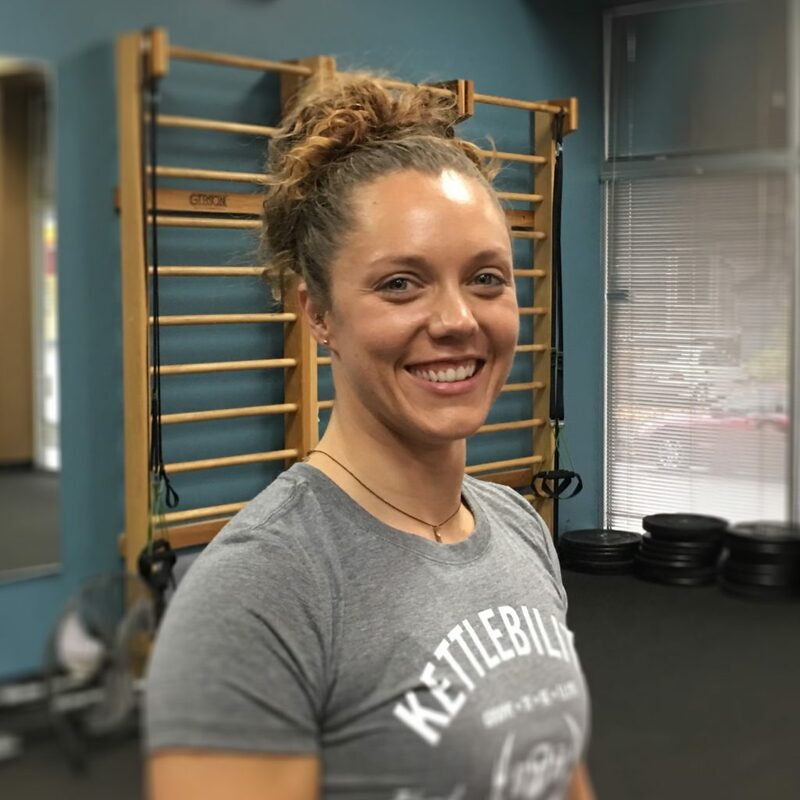 Anna’s own experience as an athlete grappling with multiple injuries led her to want to help others develop as “injury proof” a body as possible. A personal trainer since 2010, Anna started teaching kettlebells in 2013 and became a Kettlebility instructor in 2016. Anna ran track and played volleyball and basketball in high school. She ran triathlons and half marathons while at Eastern Washington University, where she earned a degree in exercise science and a minor in coaching. After college, she became a competitive slalom water skier, earning second at the American Water Ski Association’s Western Regional Championships in 2013. Anna credits kettlebells with helping her both physically and mentally. When she’s not training or coaching, you can find Anna at the coffee shop with her nose in a book. Anna’s certifications include ACE – Personal Trainer, SFG I, GFM, Yoga Tune Therapy Balls, FMS Level 2, Clubbell Yoga, CPR/AED/First Aid certified. Favorite health food you couldn’t live without? Favorite non-health food you couldn’t live without? Assisting SFG level 1 while two of my students earned their SFG! Hope is the light. Dreams are a calling. Believing is in the doing.